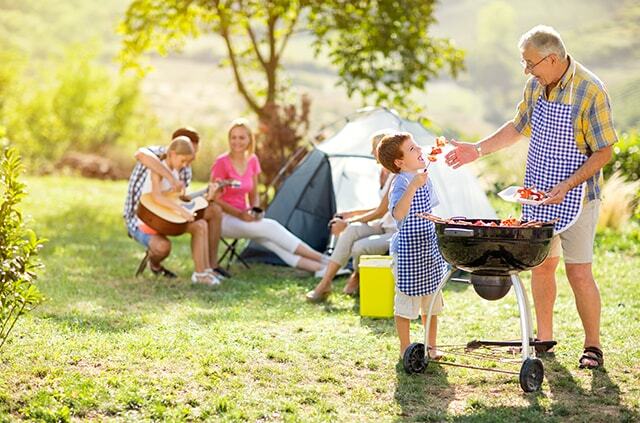 Are you looking forward to a long and carefree retirement? If so, consider an income source with guarantees. What is an annuity? Simply put, an annuity is a contract with an insurance company that ensures you have a guaranteed income. Annuities come in all shapes and sizes, so it’s important to be well-informed about which one is best for your specific situation. As an annuities provider, you can depend on Weinstein Wealth Insurance Solutions, LLC to help you achieve your retirement income goals. If you are worried that you might outlive your income, it would be beneficial to consider an annuity. Annuities provide many benefits, including a guaranteed income that can last a lifetime, tax-deferred growth opportunities, and income protection. Your retirement dreams can become reality with sound financial advice and a bit of planning. Let Weinstein Wealth Insurance Solutions, LLC help you achieve a happy and worry-free retirement. An annuity is a long-term contract that you purchase from an insurance company. In exchange, the insurance company makes regular payments to the buyer. These payments can be made in a single lump-sum, annually, quarterly, or monthly. Individuals with an annuity contract can choose to receive payments for the rest of their lives or for a set number of years. Annuities were designed to help accumulate assets to provide a steady income for retirement. Annuities have the potential to grow tax-deferred and have death benefits to protect your beneficiary. When the money is withdrawn, the money contributed to the annuity will not be taxed, but the earnings will be taxed as regular income. There are several different types of annuities and it’s important to consult with a professional to determine which type is most appropriate for your situation. Depending on the type of annuity, you can either let your money accumulate for a period of time and then receive payments or you can use it now for immediate income needs. Fixed annuities provide regular periodic payments to the annuitant. These offer a guaranteed payout, typically a set dollar amount or set percentage of the assets. With fixed annuities, the principal investment and earnings are guaranteed and set payments are made for the term of the contract. Immediate annuities are long-term, tax-deferred contracts that have no accumulation period. These annuities provide immediate payments in exchange for a lump-sum investment. Immediate annuities can either last for lifetime or for a specific period of time. Indexed annuities provide the opportunity for growth based on stock market performance, while also protecting against market declines. These annuities yield returns on the contributions you make based on a specific equity-based index. 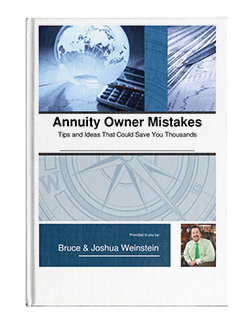 If you are interested in learning more about annuities and how they could benefit your overall retirement income strategy, contact Weinstein Wealth Insurance Solutions, LLC today. We are here to help you make the best, most informed decision to protect your financial future. Call us today at 732-407-8063. Getting an annuity plan is a great way to guarantee your income after you retire. To make sure you understand the risks, rewards, and workings of your annuity plan, download our FREE brochure. Fill out the form below to gain access to a FREE brochure that will help you better understand the risks, rewards, and workings of your annuity plan.